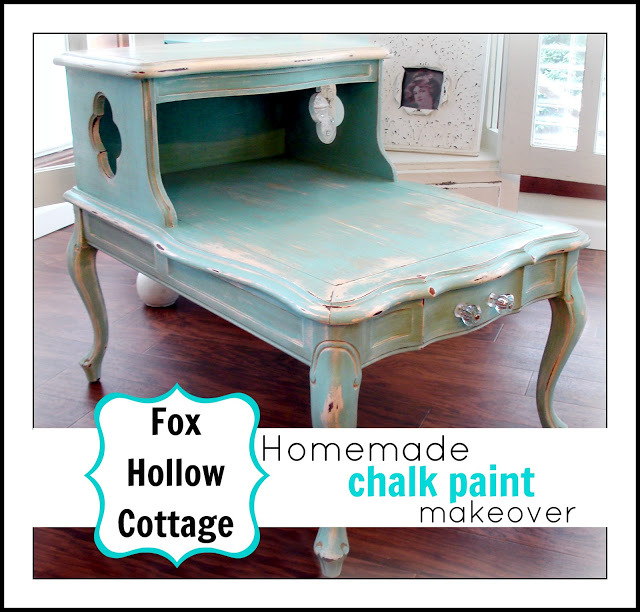 Finally, about a MILLION years later… here is my homemade chalk paint makeover reveal. I think I have learned a valuable lesson! 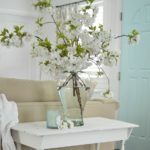 This is the story of a sweet little side table I found at a tag sale. The minute I saw her legs… I was hooked. They wanted 20 bucks. I offered 10. Bonus, he carried it to my car – Very nice guy! She was in pretty rough shape as far as her finish went but she was solid and had such nice lines. I knew exactly what I wanted to do in order to spruce her up! My cat thinks if I am outside, I should be petting him. Go figure? And he always looks so mean and grumpy in pictures? Not sure why, because he is a big, purry, luv. 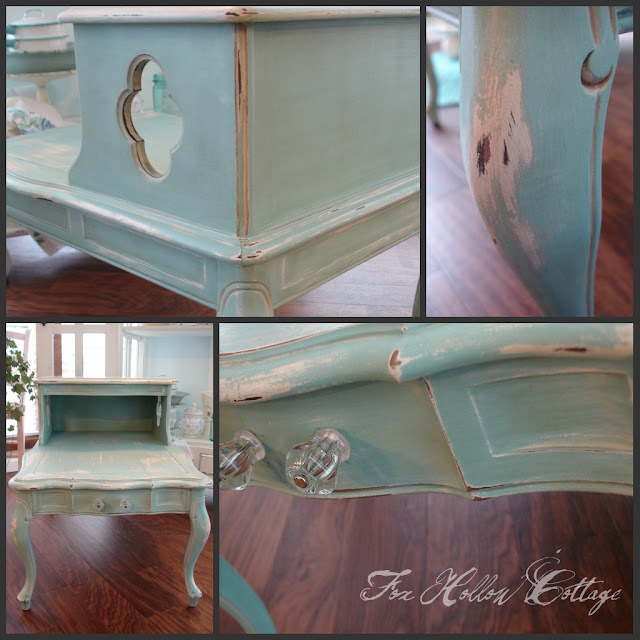 Anyhow… she got sanded, primed (I used Zinsser brand Bulls Eye 1,2,3 primer) & painted in a gorgeous shade of aqua. 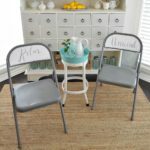 I used the diy chalk paint recipe I found at No Minimalist Here – You can read my review and the process Here with all the make your own chalk paint details. She had lost her jewelry at some point, so I added some pretty glass knobs. I think she needs something a little more special. I’ll have a feeling I’ll know it when I see it. I put my heart into every step of this makeover and I am so very glad I did. Each and every time I walk by her. 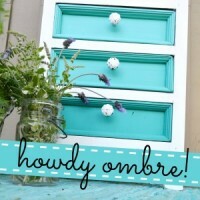 Love the color and distressing. 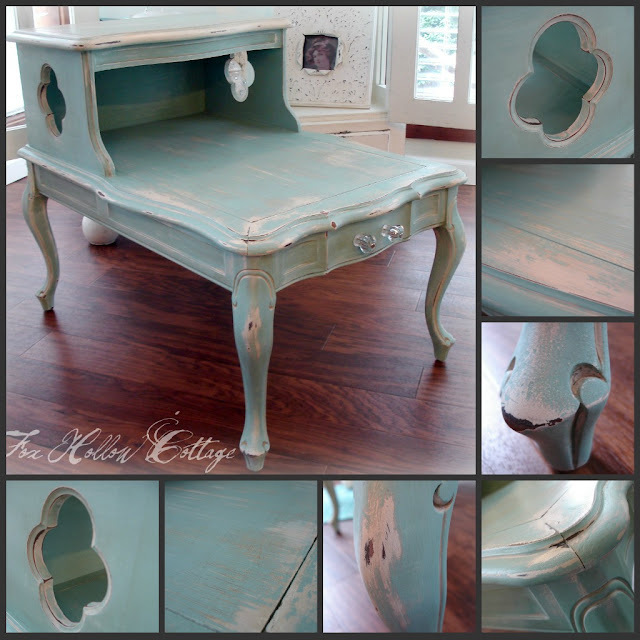 Have you tried real chalk paint yet. I think you would love it! Sands easily and no priming or sanding before hand what so ever. 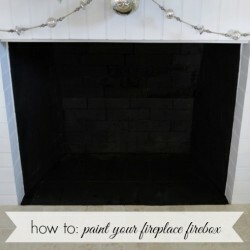 It may cost more, but not when you figure in no primer to be bought and it lasts forever. It goes and goes and goes. Thanks for joining Wow. Love how this turned out … that color is beautiful! Great piece! 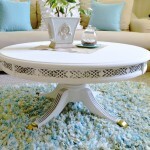 Love that little quatrefoil cut-out! Loving the transformation!! It’s amazing that color is just lovely! Your cat does not look impressed at all lol. When I’m painting outside my cat meows at the door in distress until I let him out! 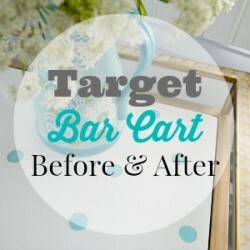 I am in love with this redo! It’s amazing! The color is perfect and I can’t believe you found it in the ooops section!! You distressed it just the right amount too. Thanks for linking up to my first latest and greatest link party!!! That color…its just beautiful. Love it! Great job Shannon. Would really be happy if you shared this at my Motivational Monday link party! What a fabulous transformation! I love the color and her “jewelry” fits her perfectly. This turned out beautifully! The color is so pretty. 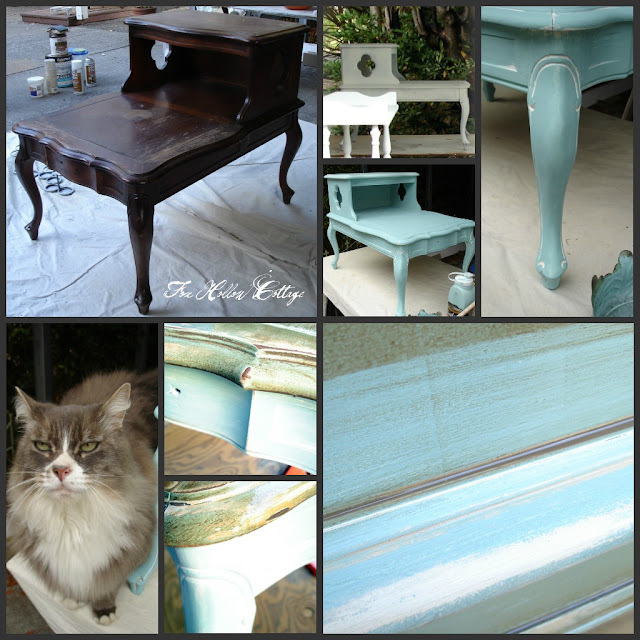 Shannon, It is a beautiful transformation and I am glad you tried the DIY chalk paint. The color is fabulous. Thanks for the mention. 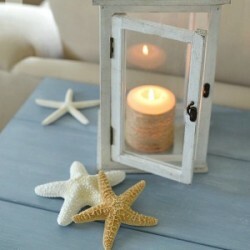 Love the new look of the side table. That blue has become a favorite of mine. Beautiful job!